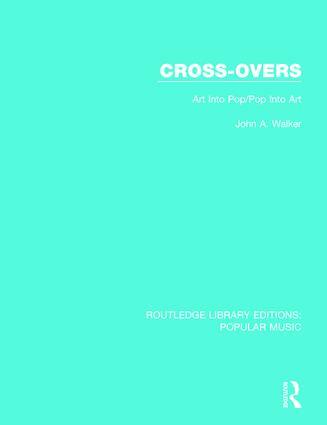 This book, first published in 1987, was the first major survey of the links between the visual arts and pop music over the last thirty years. It brings to light the ideas, styles and people who have influenced both the look of pop and the shape of art. It examines how pop uses art movements like Dada, Futurism and Surrealism in everything from the design of album covers to the creation of a group’s look, stage act and video; how art uses pop, as a subject for painting, sculpture and design; the vital role of the British art school connection; and collaborations and cross-overs – between the visual arts and groups, musicians and movements.